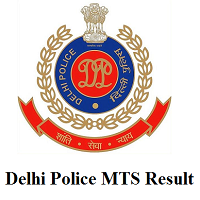 Delhi Police MTS Result 2019: As known, Delhi Police Department released a notification for 707 Posts of Multi Tasking Staff. All the eligible candidates attended the exam from 17th December 2018 to 9th January 2019. Now, searching for where to get Results? Don’t worry we had provided complete details of the DP Multi Tasking Staff Final Result. As per the notice, the officials are going to release Delhi Police MTS Final Result in February/ March 2019. Also, in this article, you can get all about Delhi Police MTS Merit List and DP MTS Cut Off Marks. Candidates Can Check the Details Information get their Delhi Police MTS Final Result 2019 from the official website delhipolice.nic.in. More than 15 lakhs people attempted the DP Multi Tasking Staff Examination this year. The Delhi Police Department is recruiting for the MTS Civilian (Cook, Water carrier, Safai Karamchari, Mochi (Cobbler), Dhobi (Washerman), Tailor, Daftri, Mali (Gardener), Barber, Carpenter) likewise of 707 posts. Candidates applied for specified Job post should be well prepared for further rounds after knowing the Result. But, we suggest you all, preparing right from now with a positive mind expecting that you will get qualified. Also, in the below sections, the detailed information of the Cut off marks are given. After referring that you will get a clear idea of the examination and the qualifying process. Scroll down for further data. The Delhi Police Department will release the result every year 2 months after the Examination is conducted. So, candidates should wait with much more patience for the Delhi Police MTS Final Result. Check below sections. After attempting the Exam, major tension for the competitors is Cut Off marks. Those are the minimum marks to be scored to promote furtherly in the selection process. First, the Delhi Police Department will release the individual scores of the attendees, then the officials considering DP MTS Cut Off Marks as a barrier finalizes the Delhi Police MTS Merit List. Down Here, we also provided you the detailed information of the DP MTS Cut Off Marks based on the category they are going to divide. Check the table given below for Expected cut-off marks. The Delhi Police MTS Merit List consists of the candidates who got selected in the Written Examination i.e., secured the highest scores. They were promoted for a further round of Interview process such as Personal Interview followed by Document Verification. So, with this in mind candidates should be ready with all the certificates and wait for the Next Round. After the release of Results, the Merit Lists are released by the Delhi Police Department on their Official website. Then, you will see the home page of the Delhi Police Department. Now search for the Delhi Police MTS Final Result and click on it. Next, you have to fill the details of yours to get your Delhi Police MTS Result 2019. Foremost, check whether you are qualified or not. If so download it. Make some of the copies and save for Future professional use. Therefore, hope the information provided in this page is very helpful and got a clear idea regarding the DP Multi Tasking Staff Final Result 2019. We suggest you to regularly check the Official website given above for further more future updates. Also, you can bookmark our website Freshers Now for Latest News like Results, Admit Cards, Recruitments, Walkins, Off Campus Drives etc., You will get push notifications of every update. Thank you for staying with us.